As an orthodontist, Dr. Lemke is committed to providing the highest standard of patient care, as well as ethical and moral values, and outstanding customer service. At Lemke Orthodontics, your orthodontic treatment is about much more than creating a great smile. We also make sure your experience with us is positive and comfortable! 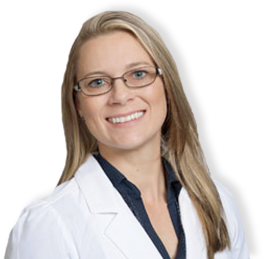 Dr. Katia Lemke and our team take the time to get to know each patient individually. We not only get to meet great people, we also learn how to give each person the kind of service he or she prefers. You can expect great results from us because each treatment is individually planned to meet your needs! Without hesitation, if you or your children need orthodontic care, Dr. Lemke and her team are by far the best in Houston. Very professional staff! Positive and cheerful team! My experience with Lemke’s Orthodontics Team has been one of the best for my daughter and myself. The team is very caring, and I’ve noticed every time I’m in the office they are wonderful with every single patient not to mention the wait time has always been less than 5mins. The overall environment at the Sugarland location is very satisfactory. Y’all Rock Lemke Team! !